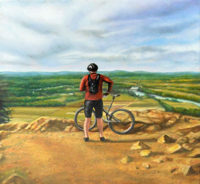 Born in Minnesota, Nan Hill lives and paints in the Pioneer Valley, an area renowned for its extended group of Contemporary Realist artists who are some of the finest in the country. 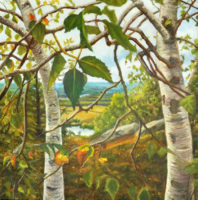 Hill studied art at local schools; she is a Smith College alumna and holds a degree in painting and art education from the University of Massachusetts. Her work has been represented by the R. Michelson Galleries since 1996.